Wheels are meant to roll… and to effortlessly flow your pallets from point A to point B, whether in a gravity-fed pallet flow rack system or on floor mounted push-assisted lanes. Mallard has a number of accessories to manage the speed of flow (speed controllers) or to hold-back pallets as needed relieve rear back pressure (pallet separators) within all of our gravity-fed pallet flow rack systems. But what about floor-mounted, push-assisted lanes with no pitch? 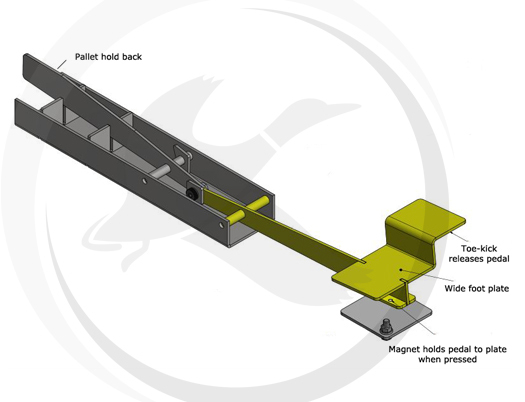 You might think you don’t need a hold back device for these systems, but Mallard customers have found otherwise; pallet loads do tend to shift or roll independently on the lane, so our design developed a fix – Mallard’s Movable Stop – a foot-operated pedal device that uses a magnet to lock the pallet in place. Simply tap the pedal’s toe-kick to release the pallet. The “movable” stop can be moved where it’s needed on pallet flow lane for Magnum wheel, skate wheel and split-roller pallet flow lanes. 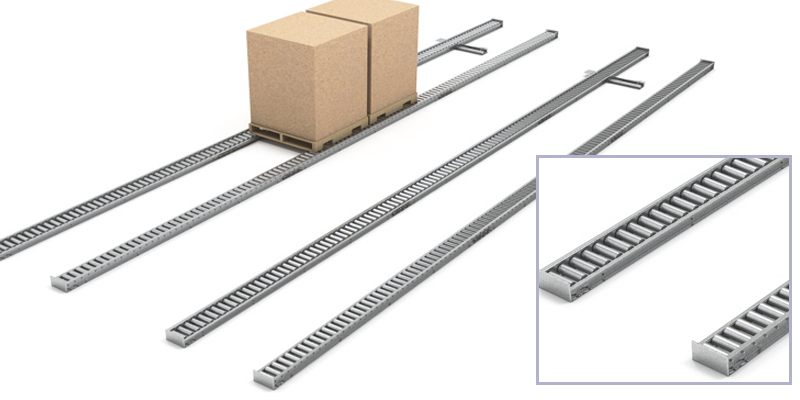 Mallard has a variety of push-assisted pallet flow lanes used for a variety of applications in distribution and manufacturing: finished goods staging, shipping/receiving, and assembly and case-pick operations.